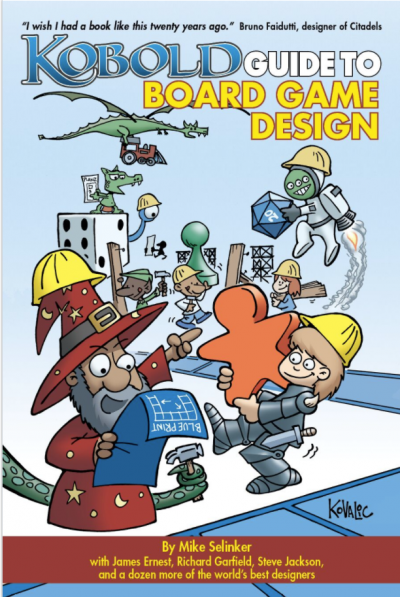 Out of stock: "KOBOLD Guide to Game Design, Vol. 1 (Print)" doesn't have sufficient quantity in stock. Start your career in game design off right! adventure, or complete game design. collects design wisdom from the pages of KOBOLD QUARTERLY magazine. People often say that they know what makes a good adventure, or the sort of things they want to see in one, but few – until this product – have attempted to tease out how to make it all work. 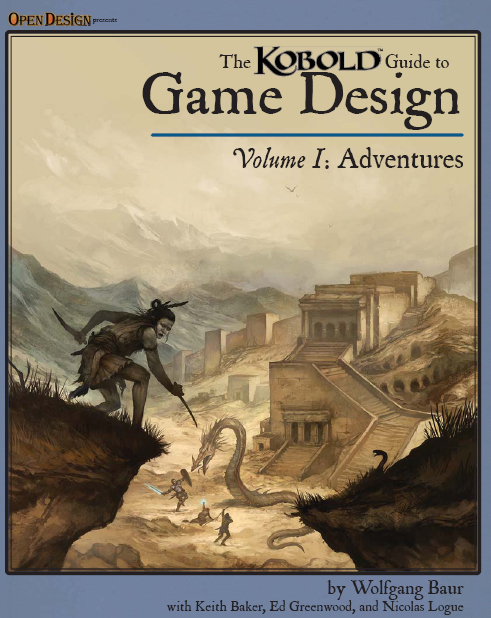 Herein is a collection of 15 essays about the adventure design process, what works and what does not, but all with one eye cocked at not just writing good adventures, but also publishable ones. The Introduction is pretty much an outline of how the first few essays came about and why the authors began to share this kind of material – with many of the essays having developed out of ideas kicked around during the development of Open Design projects. 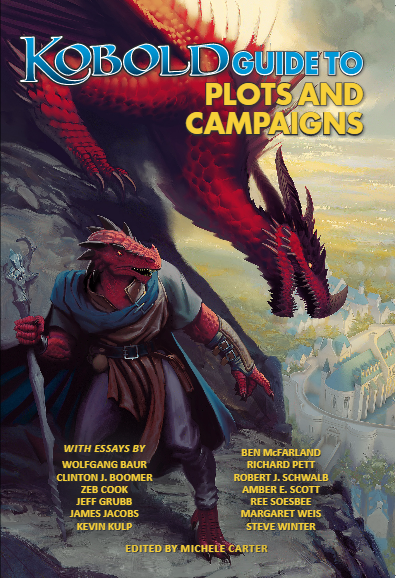 The first essay looks at The 3 Audiences, and analyses how there are three quite different groups of people to whom your adventure must appeal if you hope to see it in print: the publisher, the gamemaster and the players. It’s short, both in length and detail, but thought-provoking nevertheless. The next essay looks at the merits of compact and concise writing, then there’s one on how real writers push on past the fun parts of writing to ensure that the piece is as good as they can possibly make it, but also knows when to stop and mail it in … you are already getting the idea of a collection of essays that will really make you think, whether you are a published author (or want to be one) or are interested in some of the thinking which goes into the role-playing books and magazines that you read. Will reading this improve your writing? No, you have to do that for yourself. But this work will get you thinking about what you do and that WILL make you a better writer. 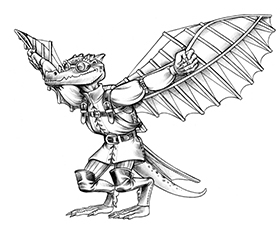 This can benefit you even if it’s not RPG adventures that you write, or want to write. Who knows, I may even write better reviews! 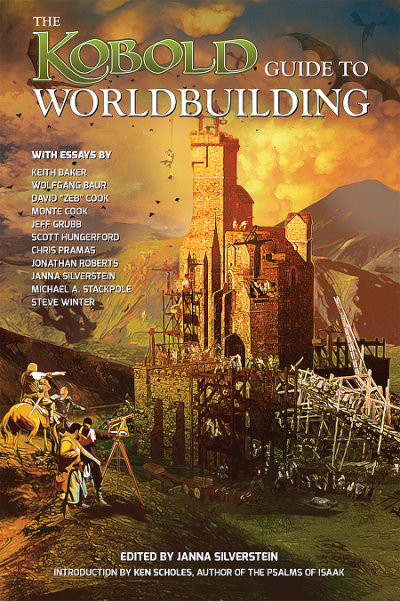 There is a whole bunch of fascinating ideas here, which will send me back to read, reread and above all think more about what I’m doing when I write and run games.